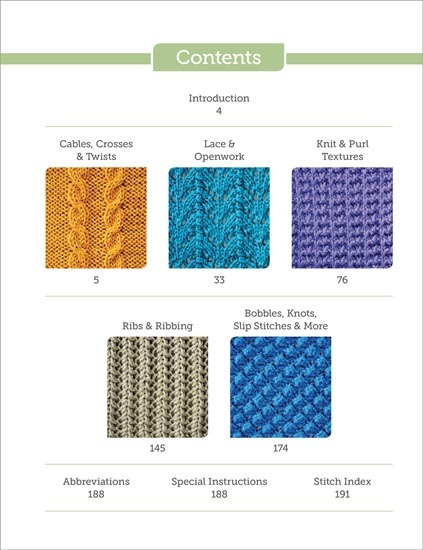 Discover knit and purl variations, ribbed patterns, cables, lace, and more in this must-have reference for all knitters. 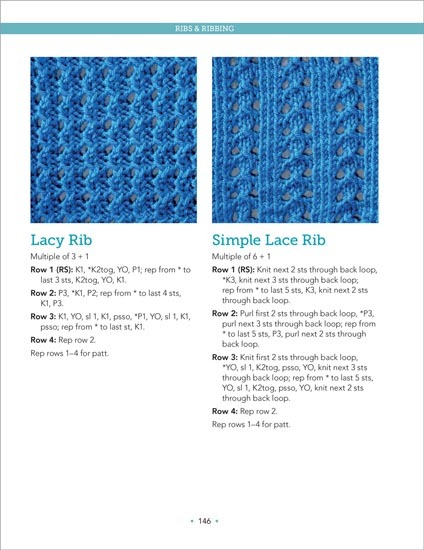 Step-by-step instructions and a full-color photo of a hand-knitted swatch are included for each stitch. Are you a knitter? 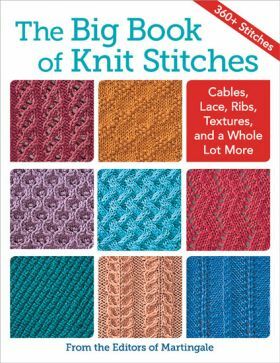 If so, this book will show you 360 different stitches to knit. 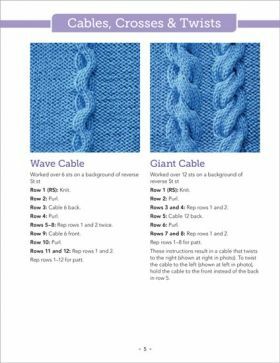 If you are just beginning to knit, make sure you know the knit and purl stitches well and then practice with a small square of the stitch to get comfortable doing it. 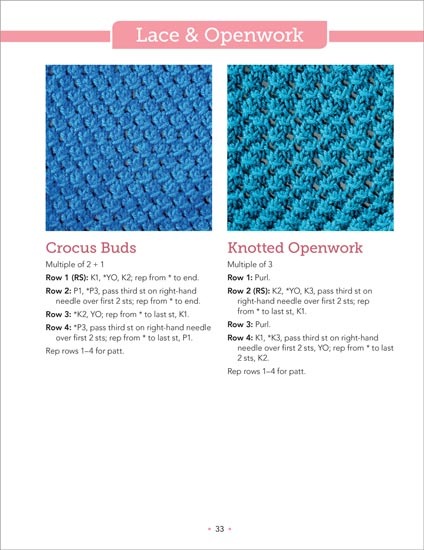 This is a good suggestion for an advanced knitter that is new to a particular stitch. There are stitches for cables, crosses, twists lace, openwork, knit and purl textures ribs, ribbing, bobbles, knot and slip. Each stitch is shown with a color photo. Under the photo are the directions for creating it. Who knew there were so many different ways to knit? There is an index of the stitch names and corresponding page in the back of the book. 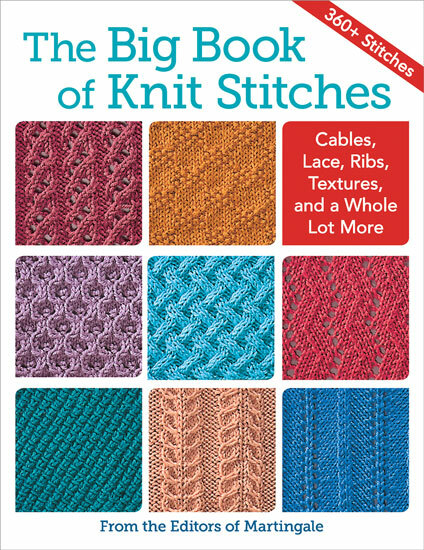 This book is a great reference tool and a nice gift for your favorite knitter. Oh, my! They have chosen the most beautiful stitches for this collection, and I am having a hard time deciding which one to use. 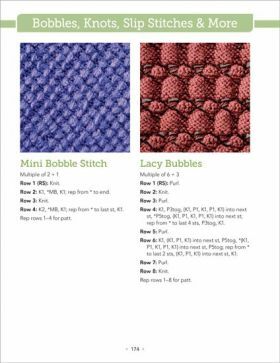 Beginners and long-time knitters alike will appreciate the Special Instructions section of The Big Book of Knit Stitches because it describes clearly how to execute each major stitch. L O V E the solid colors used on the stitches as they not only inspire me but allow us to see every detail of each stitch, unencumbered by the specs, knots or other feature of many yarns. This book is a great reference tool and will have permanent residence next to my ever-increasing stash of yarns. A fantastic resource for all Knitters, The Big Book of Knit Stitches includes more than 360 different knit stitch patterns - ranging from lace to beautiful textures. Perfect to use for any project you want to create this book is an essential item for your Knitting Library. I definitely recommend it. Martingale's The Big Book of Knit Stitches packs in over three hundred fifty stitches and takes the form of good-sized close-up color photos of each stitch to accompany step-by-step instructions on how to create them, row by row. Knitters receive keys to producing cables, lace, ribs, mosaics, different textures, and more and will find this handbook packed with clear instructions. 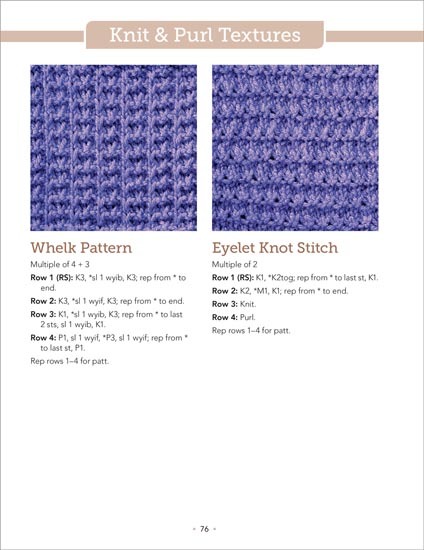 A highly recommended 'must have' reference for any needleworker's collection. If you think you've lost your knitting mojo, it's time to pick up a copy of this dictionary of more than 350 different stitches. Shown in large-format photos with written instructions (but no charts), they are sensibly organized by type: cables and twists, lace, knit/purl texture, ribs, and bobbles/slip stitches. 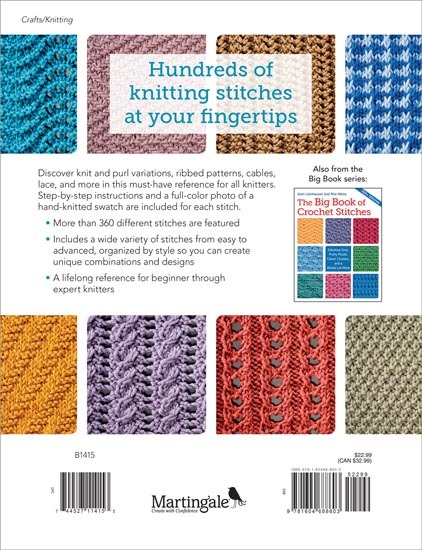 It's also the perfect guide for a newbie to branch out and see the incredible variety of stitches that can be created with two sticks and some string. Most quilters have fun with other crafts as well and we're nearly all fond of knitting. Sometimes a whole generation will miss out on learning this wonderful hobby - grandmothers have the time to teach their grandchildren, but Mum didn't learn. We can all learn something new from this terrific book. "360+ Stitches" it says - "Cables, Lace, Ribs, Textures" - and Brent Kane's photography shows all the knitted samples very clearly. "Bobbles, Knots, Crosses, Twists" - what an array! 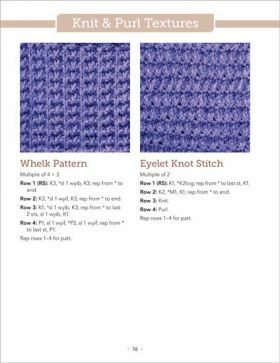 The book contains no patterns for garments; just 366 stitch combinations for you to enhance your patterns with. 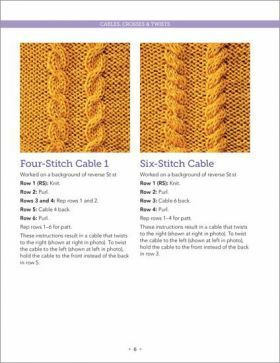 If you have sweater or hat patterns knitted in plain or stocking stitch, then you can change the whole look by selecting a stitch repeat from this book instead. Needle sizes are not mentioned either. It's up to you to try out a swatch of the chosen pattern, experiment with needle gauge until you like the look, then knit away. Each design tells you the stitch repeat. e.g. "multiple 10 + 1", so you can fit it easily to your garment pattern. The explanations are quite clear - the only problem is which stitch to choose!